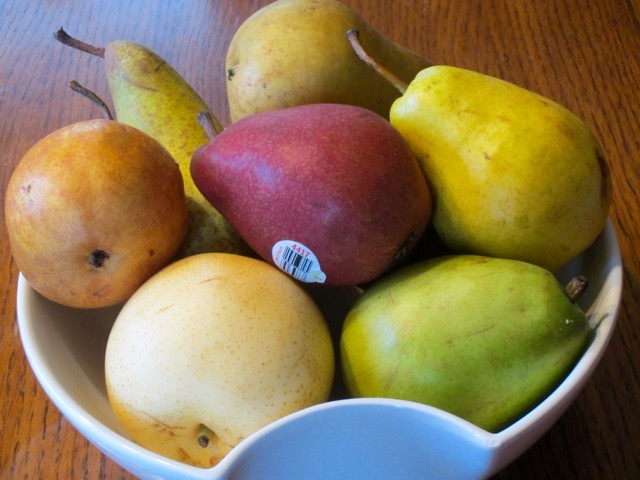 Hard unripe pears can also be refrigerated until one is ready to ripen them. The cold slows down the ripening process but doesn’t stop it. Remove and let them ripen at room temperature. To speed ripening, place the pears in a paper bag or perforated plastic and turn the occasionally to ensure even ripening. Important Tip: never store pears in a sealed plastic bag because lack of oxygen will cause the fruit to brown at the core. Wash, slice, core and eat the pear or if preferred peel very thinly with a paring knife or vegetable peeler. Coat the peeled or sliced pears with lemon juice to keep them from darkening. Prev What is Appaloosa Bean? Next What is Soy Sauce (Soya Sauce)?